The EASY way to keep fit every day...in the comfort of your own home! A compact, reliable mini exercise bike for providing light, cardiovascular exercise. 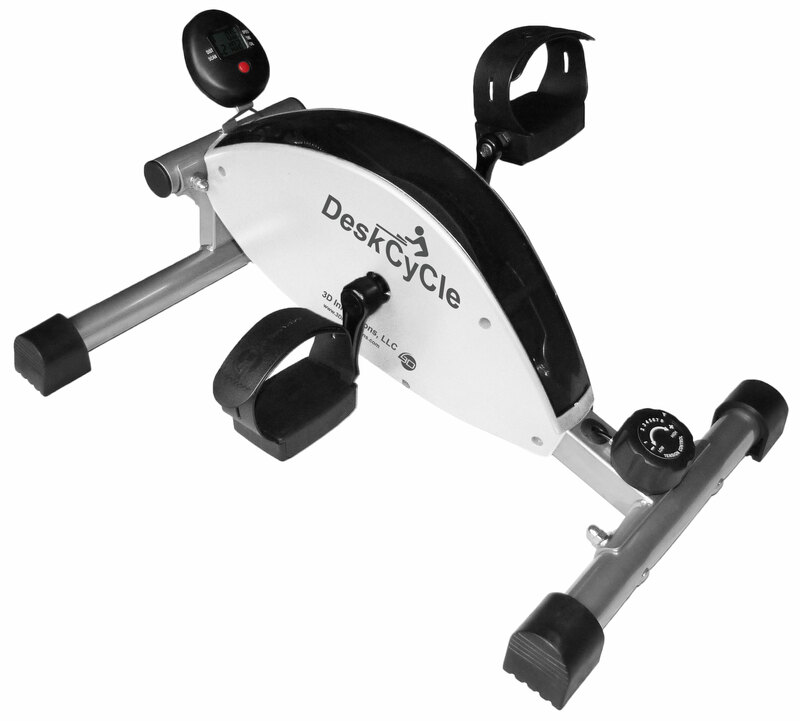 A sturdy, well-built mini exercise bike with good variable resistance to provide a progressively intensive work-out. 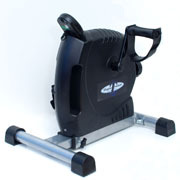 An advanced mini exercise bike for professional level exercise for people who take their training seriously. Welcome to Zest Home Fitness – where we make exercise easy! If the hectic pace of your life means that keeping fit has been relegated to the bottom of your list of things to do, help is at hand with a versatile, convenient and affordable Mini Exercise Bike! Prices now range from just £29 to £156 and include FREE delivery (within the UK)! So, if like most people, you don’t have the time to regularly go to a gym or a park to keep fit, now you can exercise with your own mini exercise bike in the comfort of your own home at a time to suit you! 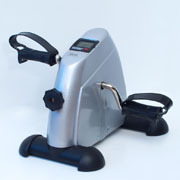 A reliable, entry-level mini exercise bike for light, cardiovascular exercise. A solid, intermediate machine with variable resistance, – ideal for an intensive workout. An advanced, professional-level mini exercise bike for people who are serious about exercise. Our best and most versatile machine! The DeskCycle is our newest and most versatile machine – not only can you use it at home, but its low height makes it PERFECT for exercising at work whilst sitting at your desk. In addition, it is SUPER-SMOOTH and has 8 fixed tension positions ensuring that you always know at which level you are exercising. This is our best machine yet and we are confident that you will love it! 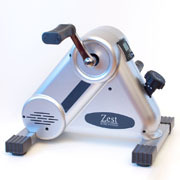 Zest Home Fitness is the UK’s leading specialist mini exercise bike supplier. Launched in March 2013 by two long-term friends, George Pirintzi and Michael Brooks-Wadham, our aim is to make it easier for people to keep fit and healthy. But the seed of the business was born out of near-tragedy some months earlier in July 2011 when George, although outwardly fit and healthy, nearly collapsed and was rushed to Kings College Hospital in south London by ambulance for an emergency angioplasty to widen a near-fatal narrowing of an artery in his heart. In the months following, George sought ways to build up his health again and discovered a little-known machine – the mini exercise bike. Finding this to be an excellent, convenient and successful method of recuperating, he realised that this was also an effective way to enable millions of people to keep themselves fit and healthy, to lower their cholesterol and to lose weight. Zest Home Fitness to bring these to the wider public. We sincerely hope that you will buy a mini exercise bike from us to help you and your family stay fit and healthy, and as we love to hear our customers’ success stories, be sure to send us an email letting us know how you get on. 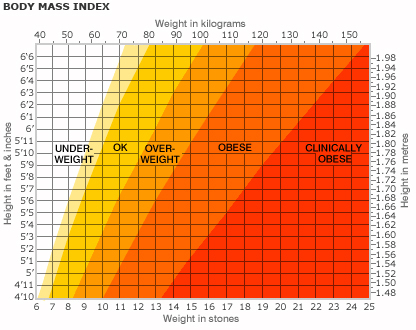 Medical experts use this Body Mass Index (BMI) chart to calculate whether people are overweight for their height. Check how you fit in by finding your height in the vertical axis and seeing where it crosses your weight in the horizontal axis.